You wish to move on Paris. Whether to go to Gare du Nord, go to the Paris CDG airport or Orly or simply move through the streets of one of the most beautiful capitals in the world. 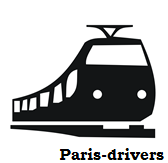 Paris Drivers meets your transportation needs in Paris and throughout the Ile de France. We will make you enjoy exceptional service and a varied range of vehicles to travel in incomparable comfort. Our drivers, always punctual and anxious to bring you the best service, will drive you to the time and the destination you want, to meet your professional and personal needs. Book your vtc for all your journeys with a private driver at the Gare du Nord and discover our drivers who are proud to be available 24/7. They pick you up at the head of the train each time you arrive at the Gare du Nord. A panel in the hand. This in order to facilitate your recovery, so you avoid wasted time. No more running counters, high fares and lack of taxi availability. Paris Drivers will not only offer you the best service but the best price for a trip with a private driver to the Gare du Nord. Our prices are guaranteed the cheapest and are fixed upon booking. Everything is included (waiting, luggage, congestion, ...). Book a vtc at Paris Drivers has never been easier. In less than 5 minutes, everything is done. All you need to do is visit our website www.paris-drivers.com, fill in the trip details and book. If you are not comfortable with the internet, you can send us an email or contact us directly by calling us. Paris Drivers is available on reservation in advance or immediate..
For a trip in peace and a preserved private life, order Paris Drivers!